Making stockings for the Sandringham show continues but I am not sure how many we will have as they are selling fast. More colours and patterns are to follow. This week we concentrated on making paper from recycled papers such as copy paper, egg boxes, old letters. in fact anything that was not coated or laminated. Make your own Christmas Stockings on Saturday 3rd December 2016. Learn how to cut your patterns and fabrics, how to quilt the stocking and then how to put it together. 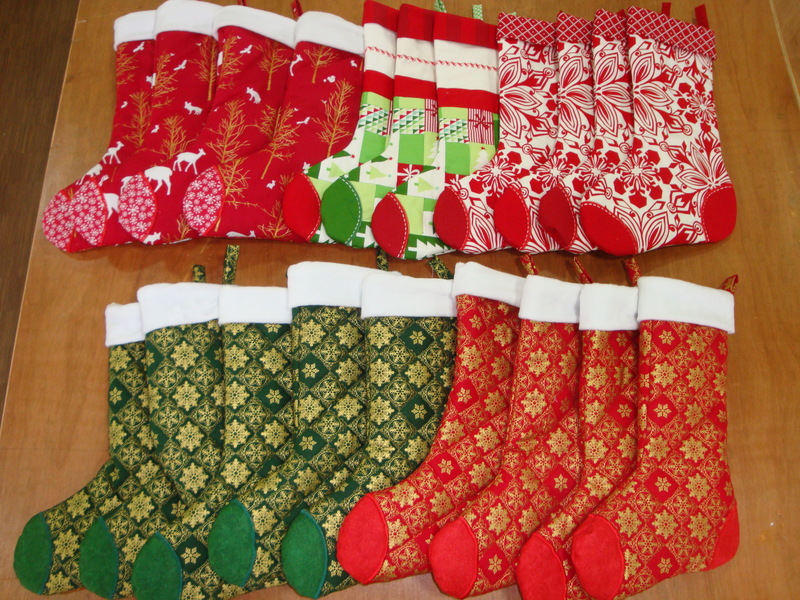 Take home a finished stocking and pattern so you can make stockings for all the family and your friends. 10 am till 4 pm. Only £25.00 inclusive of materials and refreshments. Supply your own lunch. 01553 762115 for more information. 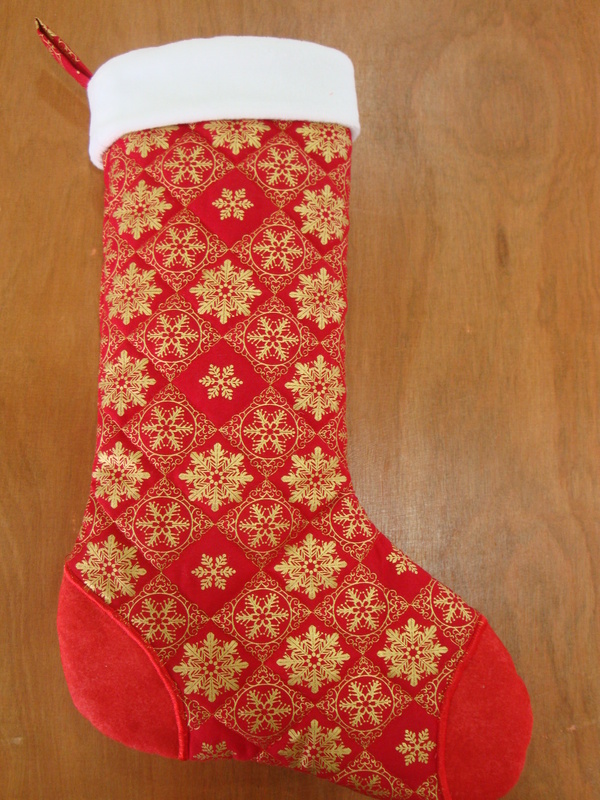 Lovely quilted Christmas stocking. Fully lined with tag to hang it on your fireplace with. Other colours include red and gold. 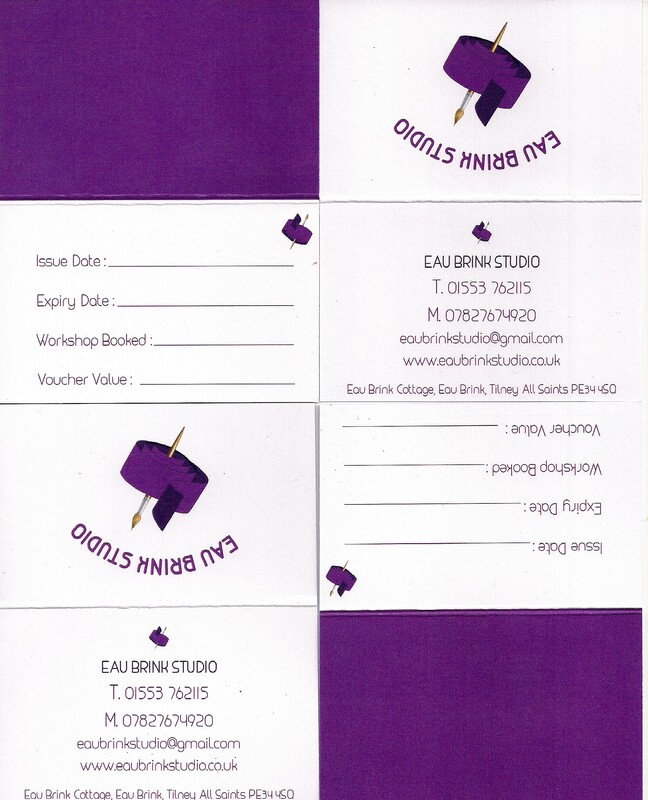 £25.00 each. Started this picture of my home with Abigail last year during her workshop here at Eau Brink Studio. Thought as she is returning in September this year that I had better finish it. The latest addition to our collection ready for sale now. £30.00. Age 2 – 3 years.